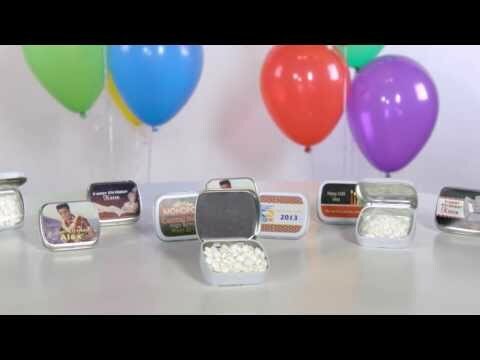 The Hollywood Star Walk of Fame Mint Tin are a great party favor for any Hollywood or movie party. Each of the Hollywood Star Walk of Fame Mint Tin features a black background with a yellow border and red and gold star. The personalized mint tins measure approximately 5/8" x 1 /34" and includes 0.45 ounces of peppermints. The affordable Hollywood Star Walk of Fame Mint Tin can be personalized with your party's theme and are a colorful accent to any table or are a great party favor! Hollywood image TM & Design Copyright 2010 Hollywood Chamber of Commerce. The Hollywood Sign and Hollywood Walk of FameTM are trademarks and intellectual property of Hollywood Chamber of Commerce. All Rights Reserved. Assembly required.